Free high resolution photo of a mule deer standing in a field with pine trees scattered about. 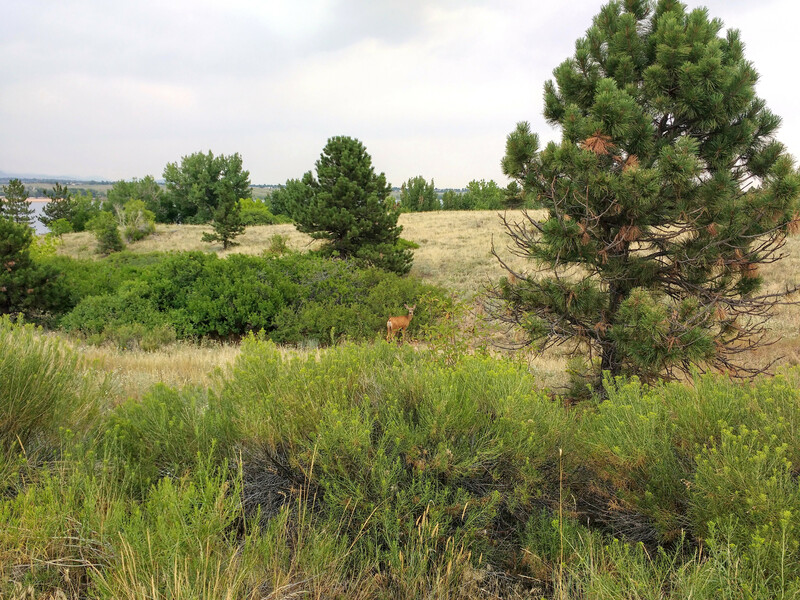 This picture was taken at Chatfield State Park south of Denver, Colorado. You can see the deer in the field with some rabbitbrush in the foreground. Free image for any use.